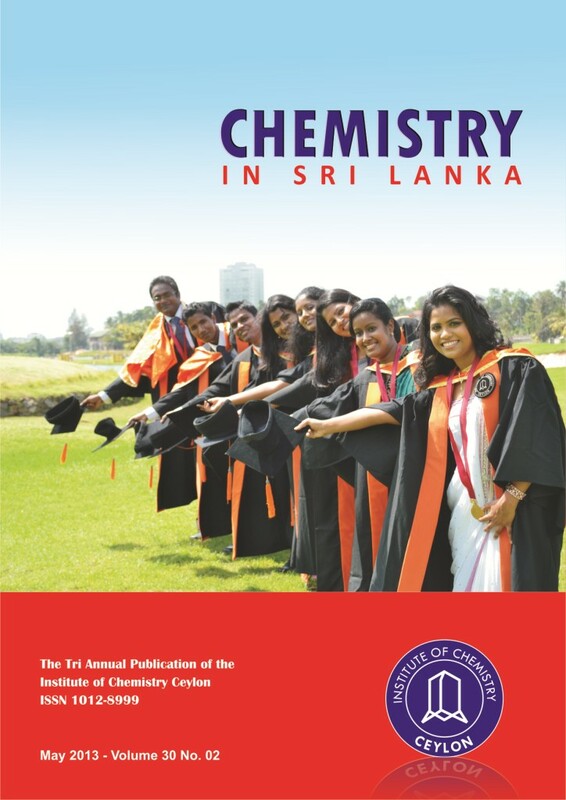 Chemistry in Sri Lanka is a tri-annual publication of the Institute of Chemistry Ceylon and is published in January, May and September of each year. It is circulated among the members of the Institute of Chemistry and students of the Graduateship/DLTC course and libraries. The publication has a wide circulation and more than 1500 copies are published. Award winning lectures, abstracts of communications to be presented at the annual sessions, review papers, activities of the institute, membership news are some of the items included in the magazine. 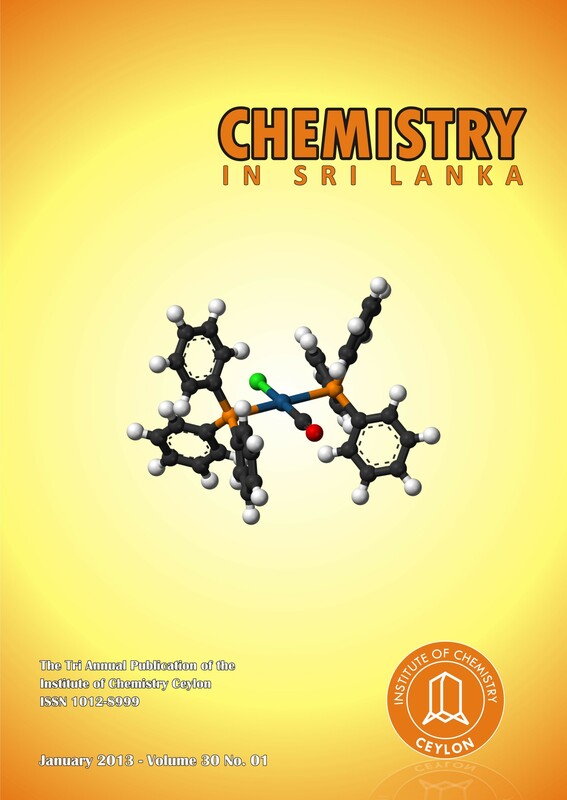 Further, prospective career opportunities for chemists, could be advertised in Chemistry in Sri Lanka at a nominal payment. The editor welcomes from the members suggestions for improvement of the publication. Click on the image to view the pdf.